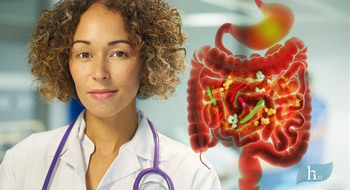 The oral microbiome is an important part of the gut microbiome and tending to its balance should be a routine part of any good “gut protocol.” Indeed, dysbiosis of the oral microbiome (and a leaky oral mucosa) might be key underlying imbalances in pathogenesis of systemic diseases, including autoimmune (IBD, rheumatoid arthritis, Sjogren) as well as cardiovascular disease. As clinicians, addressing our patient’s oral health may be the missing link in treating many systemic diseases. This podcast is great for clinicians as well as anyone interested in gut health, the oral microbiome, autoimmunity, leaky gut and cardiovascular disease. Listen to Dr. Kara Fitzgerald’s interview of Cass Nelson-Dooley on the importance of the oral cavity in human health and disease. Dr. Kara Fitzgerald: Hi, everybody. I am so excited to have Cass Nelson-Dooley with me today. She’s going to be talking about all things oropharyngeal microbiota. She’s going to give us some really good clinical take-homes. But first, she’s going to introduce us to the oral microbiome, what’s going on there and of course, the connection with disease. Before we jump in, I want to give you a little background on Cass. I’ve known her for years. I count her among my very best friends. She’s the owner and chief executive officer at Health First Consulting, a company that seeks to promote the paradigm shift in healthcare using the written word. That’s great, Cass. She was a medical education specialist for eight year at Metametrix Laboratory, now, Genova Diagnostics. She enjoys teaching, presenting, writing, researching, and focusing on how to address the underlying causes of disease, not just symptoms. Cass co-authored with me on Nutrient and Toxic Elements in Laboratory Evaluations for Integrative and Functional Medicine. So that’s the textbook on Laboratory Science published by Metametrix. She was also an author in case studies in integrative and functional medicine. Again, she did a wonderful job on that book. At University of Georgia, she completed a Bachelor’s of Science in Ethnobotany and a Master’s of Science in Ethnopharmacology. I always like to brag on Cass a little bit. She did a Fulbright in Panama focusing on what was called the Black Drink, and this is something that they gave people with parasitic infections. Cass discovered that this botanical combination was very iron-rich and I’m sure it had some anti-parasitic botanicals in it as well. And I’m always encouraging her to publish it. I’ll stop bragging on you, Cass, and just welcome you to the podcast. Cass Nelson-Dooley: Thank you so much for that introduction. I’m really happy to be here. Dr. Kara Fitzgerald: So talk to me about oral microbes. Why is it such an interesting and important topic for us as clinicians? Cass Nelson-Dooley: Yes, I was amazed to realize how important oral microbes were. With my history at Metametrix and Genova, we did a lot of stool testing. And so, I feel that there’s just a lot of emphasis on the gut microbes and how they influence human health. And so I had an opportunity to do some in-depth research on oral microbes for a newsletter that I wrote with Stephen Olmstead at ProThera Klaire. It opened a wide world of oral microbes and how important and how linked they are to gut microbes. But the oral microbes, one thing is we have a lot of different ecological niches in the mouth. There are the teeth, there are the gums, there are bacteria above the gums, bacteria below the gums, there are bacteria on the tongue, on the roof of the mouth, on the tonsils. So there are just a lot of special niches that characterize that microbial diversity. The other thing – well, I might be jumping ahead but the other thing is just that the bacteria in the mouth, we are swallowing something like a trillion bacteria every day just through saliva and chewing and brushing and things like that. And those all go into the gut. So those potentially have an incredible impact on the gut. Back in my days at Metametrix and Genova, we talked a lot about how they impact the guy microbes. We did notice what was happening in the mouth could impact it, but I don’t think we knew how strong that one is. And then there’s the mucosa in the mouth. We talk about gut mucosa a lot, but the mucosa in the mouth is very porous. So there can be penetration. I mean, that is a barrier too. And so, if that barrier is damaged, again, the microbes in the mouth could wreak havoc essentially. Dr. Kara Fitzgerald: Right. That makes a tremendous amount of sense – leaky gums, periodontitis and so forth. And we’ll talk about that in a minute. I do want to make sure also that we talk about biofilm because I know biofilm is huge. And that would be its own ecological niche as well. Do you want to say a few things about biofilm now and then we’ll move on? Cass Nelson-Dooley: Sure! I was really excited to find out. Again, we’ve talked a lot about microbial biofilms in the gut. And we worry, when we’re trying to treat dysbiosis in the gut that biofilms are preventing effective resolution of the infections because that biofilm is protecting those bugs and we can’t get to it with natural antimicrobial agents as easily. And so it was really exciting for me to find out that plaque is just biofilm. The plaque that the dentist takes off of your teeth is a bacterial biofilm. And it was the first discovered medical biofilm. So it just shows that that feature of bacteria creating biofilms to protect themselves is very important on the teeth. So there’s a lot going on in the mouth and bacteria have to be hardy to really hold on in the mouth. And so I think plaque and those biofilms are really important for their survival. And it means something like going to the dentist and having plaque removed is keeping that under control. So that it doesn’t overgrow and lead to gingivitis or periodontal disease. Dr. Kara Fitzgerald: And just brushing, obviously, oral hygiene, flossing, et cetera, would really be important as well. Dr. Kara Fitzgerald: So we’re assuming that when we’re talking about biofilm in the negative light—I mean we know biofilm can increase antibiotic resistance. I’ve read, up to a thousand fold. I would assume that’s occurring in the oral cavity as well, just those dysbiotic players being able to survive within the biofilm. Dr. Kara Fitzgerald: It is true. Yes, it’s so fascinating. But also we know that there are healthy biofilm as well. Did you come across that in your research for the oral things? Cass Nelson-Dooley: That’s a good question. I think you’re right. It was really more about the negative aspects of biofilm, but for sure, you’re right. The healthy, good bacteria, commensal bacteria in the mouth also form biofilms and that’s good for them too. So yes, I think that’s a great point. But it is funny how the research really focuses more on the pathological issues. This is just like streptococcus mutans (that’s a bad bacteria or these “pathogens” that have been identified in the mouth that create disease. And that’s where there’s a lot of focus instead of on the bugs that protect this from developing disease in the mouth. Dr. Kara Fitzgerald: Right. Okay, so I just want to get a little bit of background from you and then we’re going to jump in to talking about strep mutans and some of the other bad actors and systemic disease. But just let me get a couple of background things. So you mentioned, obviously, the oral microflora, we’re swallowing a trillion of it a day or more and it’s part of the whole alimentary canal. So how is it connected to the colon microflora? Is there an overlap between what you’re seeing in these two microbiomes? Cass Nelson-Dooley: Yes, there is. And it looks like it’s about a 45% overlap. There was really an excellent paper by [Segada] et al. They basically used research from the Human Microbiome Project, which is from about 200 healthy humans where they took samples from over 15 sites in their bodies. They looked at the microbes in the mouth, in various areas in the mouth (just as I mentioned that there’s a lot of different niches that those were all sampled). And then also, microflora in the colon, from stool samples. They found that there was about a 45% overlap in the microbes found in the mouth, oropharyngeal microbes and colonic microbes. Dr. Kara Fitzgerald: That’s fascinating. Cass Nelson-Dooley: That was pretty incredible. Dr. Kara Fitzgerald: Now, just drilling down into that, anything you can mention? Are we seeing firmicutes and bacteroidetes phyla show up in the oral microbiome or any specific species? Cass Nelson-Dooley: Absolutely! Firmicutes and bacteroidetes species are there. That’s easier to say because those are the big level phyla. I’ll be honest that when they break down the microbes by genus names, I am not familiar with enough of them as colon bugs, colon bacteria. Obviously, we don’t see a lot of streptococcus. Streptococcus is really the big player in the mouth and we don’t see a lot of that in the colon usually (at least from the stool test I’ve looked at over the years). Dr. Kara Fitzgerald: We also—go ahead. Cass Nelson-Dooley: Now, fusobacteria is one but fusobacteria you can see in the colon and you can find it in the mouth, but that one can lead to some pathological changes to certain species of fusobacteria. Dr. Kara Fitzgerald: Right. Well, I’m thinking, obviously, the microenvironments are so different in the top end versus the bottom end. We think about the colon as colonizing mostly anaerobes where obviously, the mouth is continuously exposed to oxygen. So that would be changing the specific genus and specie level, wouldn’t it? Cass Nelson-Dooley: Yes. But I was surprised to find out that 50% of the bacteria in the mouth are anaerobes. It’s amazing when you think about how much oxygen is going into our mouth all the time. But I guess they’re just buried. There are, of course, bacteria underneath the gums. But yes, there are a lot of anaerobes. And prior to PCR, those organisms were all unknown, unidentified because they couldn’t be cultured. So just like with the gut, in the last few decades, there has been a lot of new information about these bugs in the mouth because of that new technology. Dr. Kara Fitzgerald: And these anaerobes, they would both be considered good players? And I would imagine bad players are also existing as anaerobes as well. Cass Nelson-Dooley: Right. Yeah, exactly! Dr. Kara Fitzgerald: Okay. I’m thinking that the biofilm probably influences their survival as well. Cass Nelson-Dooley: Yes. And I don’t know. Maybe the biofilm helps protect that anaerobic status. Dr. Kara Fitzgerald: Right, just reducing the quantity of oxygen. Just one more thing on this topic. Obviously then, what we’re eating is going to be influencing, obviously, what’s happening in the entire alimentary canal. So if we’re eating healthy, it’s going to support growth of the healthy microflora in the oral cavity, but just really on down the line. 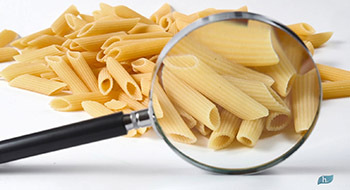 I guess it’s not surprising that there is some connection just based on the food that we’re exposed to and what microflora it’s going to support. Cass Nelson-Dooley: Right. I really love that you brought that up especially with your naturopathic training. That was a neat realization in this topic too because, again, the mouth mirrors the gut so much, let’s say, the small intestine and colon, which is what we think about when we talk about the gut. But it is interesting how food really is introduced first to the mucosa in the mouth. So even immunologically, there’s a lot happening from that first bite potentially. But the diet connection is really important there in the mouth, and the most obvious one everybody knows so well (they probably don’t even realize this is about diet) is sugar, sugar and cavities. Immediately that high sugar diet affects the microbes in the mouth and it basically turns into a dysbiosis of the bacteria in the mouth which leads to decay and changes in the acid/base balance in the mouth. I didn’t come across it a lot when it came to diet. I’m sure there’s a lot out there. But sugar, of course, is the most obvious one because the development of cavities is so well-understood. Dr. Kara Fitzgerald: It probably parallels – well, I’m sure it parallels the damage that occurs downstream in the small intestine and in the colon. So we can see it, obviously, reflective in the mouth with periodontal disease, cavities, et cetera and bad breath. I mean, we’re motivated to brush our teeth. But downstream, that same kind of damage is likely occurring. Not in those respective areas of the colon. It’s really interesting to me, Cass. And the other piece I wanted to just throw out there is that there is all of the oral lymphatic tissue that surrounds the whole alimentary canal and you’re right that it’s extremely immunologically active. I remember looking at the salivary assessment of tissue transglutaminase and anti-gliadin and antibodies and so forth. Saliva was considered a legitimate specimen for diagnosing celiac disease because of the very active lymphatic tissue right there. So I’m sure that it’s influencing the course of other systemic diseases. We’ll jump into that in a nanosecond, but I just wanted to ask you just going way, way back to birth, vaginal delivery and C-section. We know these obviously, profoundly influence what’s happening in the lower gut and also the impact in systemic disease when vaginal versus C-section delivery. Are we seeing any changes with the oral microbiome? Cass Nelson-Dooley: Yes. So there is a study out that shows that babies that are delivered by vaginal route have a more diverse oral microflora and babies who are delivered through C-section have less diversity in their oral microbes and they are colonized with a periodontal pathogen. It’s called Slakia exigua. Cass Nelson-Dooley: It was really neat. And of course, the authors do say how this does mirror what we know about the gastrointestinal tract. Lower down, it’s different between vaginal and C-section deliveries. The authors hypothesized that it wasn’t that the vaginally-delivered babies didn’t get exposed to this pathogen, this Slakia pathogen, but just that their commensal flora has suppressed it better. Dr. Kara Fitzgerald: Wow! That’s great. I always think of colonization resistance, the term that we use to talk about in the lab all the time when we were working on the DNA analysis for stool. Colonization resistance, it’s happening across the gastrointestinal tract. So let’s go back to some of the bad actors. You talked about streptococcus mutans as a player in cavities. You can expound on that if you want to. And also, I do want to jump into the oral microbiome and systemic disease. Cass Nelson-Dooley: Okay, sure. It seems there is a shift happening as far as the way we used to think about streptococcus mutans and the way we’re thinking about it now, and how it leads to cavities. I think of it in the big picture like the one disease paradigm. They have streptococcus mutans, therefore, they have cavities. But really, what studies are showing is that that’s just an end point. Really, what’s happening is changes in the environment in the mouth, changes in the microbial balance in the mouth and then streptococcus mutans rises to the top and creates cavities. And those environmental changes in the mouth are really important. For example, poor oral hygiene, not brushing teeth or having teeth cleaned, high sugar diet that changes the PH balance. Lactobacillus is also involved there. It’s interesting. Lactobacillus isn’t all good in the mouth. It does appear that lactobacillus probiotics can help treat some oral dysbiosis, but there are lactobacillus species that flourish when things are getting out of balance in the mouth and they lead to the ultimate rise of streptococcus mutans. Dr. Kara Fitzgerald: Would they be some of the acid levers? We think about lactobacillus acidophilus. Cass Nelson-Dooley: Right. Exactly! That’s why they’re very happy when things get acidic in the mouth. Sugar helps set that up. The other environmental factor, if you’re thinking about the mouth, is the flow of saliva. I’m not a clinician, so I don’t think about the sequelae of a patient who’s got problems with good salivary output, but this is an example of where if you’ve got problems with healthy salivary flow, it’s going to affect your microbes in your mouth. And then that could affect microbes downstream or maybe even systemic disease too. If you couple all of those things together, poor oral hygiene, a lot of sugar in the diet and reduced saliva, then you really set it up to develop cavities. The other thing that happens, of course, are those microbes are changing. So the microbial populations are changing, lactobacillus starts to overgrow and then eventually, streptococcus mutans overgrows and the diversity of the bugs in the mouth is less, so there is reduced diversity in this case. It’s really a dysbiosis just like we would think in the gut. Dr. Kara Fitzgerald: It’s a pro-inflammatory dysbiosis. And you talk about in your paper – and by the way, folks, we will have a link to the PDF of Cass’ paper. It’s very well-written, not surprisingly, really well-referenced. It will just provide detail and some of what we’re talking about. But we see this dysbiotic pro-inflammatory environment in all of the same actors that we’re thinking about with regard to overall gut health and systemic disease come into play. We see higher NF kappa beta—excuse me, NF kappa b. We see lower T regulatory activity when the microenvironment is knocked off balance, increased macrophages and neutrophils, et cetera. And then conversely, you write in the paper that there is a protective effect with some of the good lactobacillus players in reducing oral inflammation. Cass Nelson-Dooley: Right! And it’s a little bit hard to understand, obviously. Stephen Olmsted and I talked about this a little bit. Maybe it’s a two-sided coin for lactobacillus or maybe it just has to do with the species particularly. There are definitely species of lactobacillus that help reduce pathogens in the mouth. A variety of companies are selling these oral, chewable probiotics or toothpaste that has probiotics in it. It’s a two-sided coin. That’s why the environment of the mouth is an important aspect, what’s happening there. 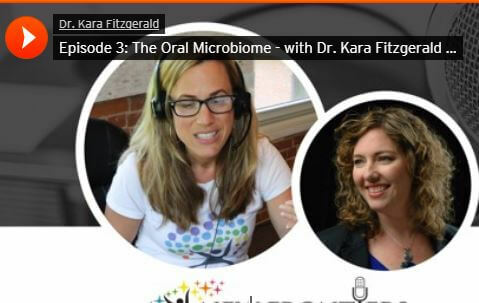 Dr. Kara Fitzgerald: And we can always back up and eat well and have good oral hygiene, to just allow the natural healthy microflora to flourish. I know this is simplifying it, but just thinking about lactobacillus acidophilus, the whole acid-producing aspect of it as potentially linking to the bad actor lactobacillus species in the mouth as a piece of it. And small intestinal bacterial overgrowth, lactobacillus acidophilus can become a problem player. It’s a good guy and we treat with it all of the time but it can become a bad player. Not in every one with SIBO but in some folks. And I like looking at urine d-lactate to see whether or not, I suspect that that’s a problem in SIBO. And the urinary d-lactate is an organic acid test. Cass Nelson-Dooley: Yes, that’s an excellent point. And that too is usually due to some type of problem with digesting sugars. Cass Nelson-Dooley: That leads to this lactobacillus imbalance. Dr. Kara Fitzgerald: Go ahead, Cass. Cass Nelson-Dooley: Sorry. I just wanted to go back to what you were saying where you’re mentioning some of the immune factors. We have said it a few times, but it is just good to remember that there are the microbes in the mouth and then the gums, that immune reaction, so even periodontal disease, the microbial overgrowth and the interaction with the immune system that then leads to the inflammation of the gums and disease. And the immune system also determines if we tolerate these bugs in the mouth. So the commensals that we are exposed to at birth, those are allowed to stay because the immune system in the mouth is choosing tolerance of those bugs. Dr. Kara Fitzgerald: It’s great stuff. The power of what’s happening with the oral microbiome and immune system, you’re hitting it home quite nicely. Okay, so I want to talk about the connection with oral disease and systemic disease. I just want to say for a second going back to streptococcus mutans and dry mouth, as you were talking about, allowing that whole microflora imbalance and the inflammation to rise and so forth and then strep mutans is the byproduct of that, the end result of it. An overgrowth of strep mutans is noted in Sjogren’s, which is the quinnessential dry mouth autoimmune disease. And it makes sense given this back story of what you’ve just described happening. So go ahead and talk to me about oral disease and systemic disease, and how they’re connected. Cass Nelson-Dooley: Sure. This is such an exciting area, I think. And thanks for bringing that up about Sjogren’s. I didn’t know that streptococcus mutans was always consistently found in those patients, but it does make sense. I think what we’re eventually going to be asking is it the chicken or the egg. Is it the mouth that’s leading to the systemic disease or is it the systemic disease that’s altering the mouth or maybe somewhere in between? But cardiovascular disease is one that we’ve heard enough about in the media, just in the popular media, the link between cardiovascular disease and oral disease. The other area that was really interesting to learn more about was the high incidence of periodontal disease and patients with inflammatory bowel. So it really did start to look like leaky gums. It was a real phenomenon. I’m trying to think. I mean, the connection in inflammatory bowel disease is so interesting to me, but I don’t think they fully understand why it’s happening. They just are seeing that it’s happening, that there is a clear association there. And again, we don’t know if the inflammatory bowel disease is affecting the mouth or start in the mouth, potentially, or is it just the inflammation is throughout the entire alimentary canal and it can be detected in the mouth. But some authors of those papers really strongly promote treating the mouth too when you’re dealing with systemic inflammation. It’s part of the target for these patients that are really inflamed. Dr. Kara Fitzgerald: That makes tremendous sense. Any microbes in particular that you can point to that might be proliferating in both areas in IBD? Cass Nelson-Dooley: I didn’t get into specific microbes. I don’t think they really did (at least the research that I looked at). I’m sure there is someone out there that has measured that. I can’t really give you a good answer on that one. I think that’s a great question. Dr. Kara Fitzgerald: Well, one of the things that I noticed looking at the oral microbiome and systemic disease was rheumatoid arthritis and the connection with periodontitis. So there is a subset of RA patients with periodontitis and proliferation of – you mentioned this guy in your paper, p gingivalis. Well, just like in Sjogren with strep mutans, they’ve isolated this p gingivalis as occurring in RA patients who also have periodontitis. And they think that there may be an association there. Cass Nelson-Dooley: Well, that’s so interesting. I wonder if they picked up the prevotella gingivalis – it is prevotella gingivalis, right? That must be the one. That was interesting because that one has also been found in atherosclerotic plaques. But I wonder in the rheumatoid arthritis, did they find that bug in the mouth or did they find it in the joint? Dr. Kara Fitzgerald: It was in the mouth and it was in folks with periodontitis. But again, you’re turning on the immune system. Clearly, they’ve got incredibly inflamed gums, likely leaky, and there’s a cascading systemic immune response. And that seems to be what they’re talking about there. Any other systemic diseases? Cass Nelson-Dooley: Well, those are the main ones I focused on and I can tell you more about the cardiovascular disease and the ideas behind that. But the other thing that’s pretty amazing, we’ve talked about how bacteria from the mouth are exposed to the rest of the gut every day, all day long. But brushing your teeth, even something as simple as brushing your teeth and seems so innocent can cause bacteremia. So these bacteria in our mouth get access to the bloodstream rather easily. So it’s not shocking to think that they may well be linked to systemic issues or bacterial infections in distant sites because they have easy access to the bloodstream. They’re in the mouth. Cass Nelson-Dooley: And that’s not to mention invasive dental procedures. We all know the tremendous amounts of bacteria are being released into the bloodstream in those situations. Dr. Kara Fitzgerald: Well, so that obviously begs the question, Cass, how do we advise these patients? It seems to me that if you have poor oral hygiene and you get in there once in a while, really do a good brushing or have your teeth cleaned, then you’re going to disrupt those pathogenic biofilms, et cetera, and liberate all sorts of bad actors systemically if you’re doing it once in a while. But if you’re very consistent and engaging good oral hygiene practices, that you would minimize what’s liberated systemically. What do you think about that? Cass Nelson-Dooley: Maybe. I think that may be true. I have a little hypothesis going, wondering if maybe part of what’s – well, brushing helps control the overgrowth of plaque. Basically, it helps us control dysbiosis in the mouth. But I wonder if there isn’t something helpful about introducing microbes into the bloodstream. The body can handle and clear those microbes, but I wonder if there is some type of immune exposure, some benefit of introducing microbes to the blood on a regular basis when you brush thrice a day. So that’s just my little hypothesis that’s going on. I don’t think we fully know all the answers of why this is so great. I think the obvious one is we keep the dysbiosis under control. But we are getting a hit of bacteria frequently if we’re brushing regularly, even the good bacteria. And the body is prepared to clear that rather rapidly. Stephen Olmstead told me they did a study on it back in the ’70s when he was in med school where med students would brush their teeth and then take blood draws. And it was clear that brushing teeth cause bacteremia. Dr. Kara Fitzgerald: That’s so fascinating. Cass Nelson-Dooley: It’s old news, but here, it was new news. I think it’s pretty incredible. Dr. Kara Fitzgerald: It’s the very natural and healthy increased inflammation or oxidative activity we see after exercise. We need it. It’s sort of the hormesis idea. 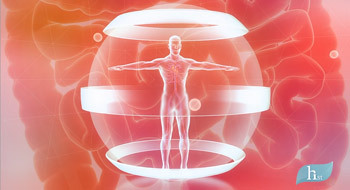 You have a little extra inflammation or a little extra oxidative activity in the mitochondria and the whole glutathione antioxidant system is turned on in a healthy and normal way. Detox activity is stimulated after these things. I would imagine clearing the microbes and the microbial debris in a consistent and healthy way is beneficial. But in somebody who is really decompensated with significant systemic illness and who doesn’t practice good oral hygiene, those once in a while intense brushing and liberation of the dysbiotic microflora with the poor ability to respond to that because of a systemic disease could be recipe for disaster. That just makes intuitive sense. Cass Nelson-Dooley: Yes. That sounds perfect to me. I think you hit the nail on the head. That really sounds like the explanation for what might be happening. Dr. Kara Fitzgerald: I have to say, because I’m a clinician and I’m seeing patients all the time and thinking about this, it makes me wonder if there aren’t certain individuals that we want to think about supporting with some sort of antimicrobial rinse much like we would treat the lower gut. And it doesn’t have to be pharmaceutical but some kind of a botanical combination to really help remedy what’s going on with the dysbiotic flora orally in addition to introducing probiotics which we’ll chat about. Dr. Kara Fitzgerald: So can you talk about that, the problems associated with antiseptic mouthwash? Cass Nelson-Dooley: Sure. Well, the main papers that I read that talked about it had to do with nitric oxide. So apparently (and again, this is such a cool topic. All these new, exciting things are just coming up), a lot of the bacteria in our mouths help to reduce nitrate because humans lack the enzyme to turn nitrate into nitrite. So bacteria make that reduction of nitrate to nitrite and then humans use the nitrite to make nitric oxide. Apparently, the microbes in our mouth are contributing something like 25% of the nitric oxide in the body. I’m trying to link this back to the mouthwash. So of course, as we know, nitric oxide, good levels of nitric oxide reduce blood pressure, reduce atherosclerotic changes and improve vascular health and all those things. So in this one study, what they did was they gave the subjects mouthwash. It abolished the effect. It abolished the nitrite levels, it changed to the nitric oxide levels and the patients had an increase in blood pressure. So it did seem very clear that the mouthwash was killing those nitrate-reducing bacteria in the mouth and that it was not a good thing to be doing every day. Dr. Kara Fitzgerald: That is just so profound. It’s really cool. It’s a pearl. I really appreciate you bringing this up, regular mouthwash use connecting hypertension and cardiovascular disease. Oh, my goodness. What a pearl. And it really is an evidence of caution around the overuse of these antibacterial interventions anywhere. Cass Nelson-Dooley: And on the flipside, like you were saying earlier, if you know that there is a dysbiosis in the mouth, maybe using it in a targeted way is a good idea. Dr. Kara Fitzgerald: Just the way we think about botanicals in the lower GI as being more modifying as opposed to completely eliminating or wiping out massive amounts of flora as we know some antibiotics can. So maybe the modulating effect of certain botanicals would be a safer intervention to consider. Dr. Kara Fitzgerald: Go ahead. Cass Nelson-Dooley: I just want to add one last thing to that topic because we were talking about oral probiotics, oral antimicrobial wash in certain scenarios. But I also wonder (and maybe you have some ideas as a clinician) about working to heal the barrier in the mouth even, just like we do in the gut. In those people who have leaky gums, they need strengthening in that barrier to help contain the microbes in the mouth. Dr. Kara Fitzgerald: Yes, that’s right. We think about CoQ10 being essential. We think about for stomatitis, glutamine rinses, so swish and spits. I think there are a number of good interventions that we could use and probably really not dissimilar from what we use in the lower GI. So listen. Lots to talk about. H. pylori, that’s one of the causative players in small intestinal bacterial overgrowth, is there any influence in h. pylori with the oral microbiome? Cass Nelson-Dooley: Yes. H. pylori, I’ve studied it a lot because of testing for it in stool at the laboratory. But h. pylori, they did some studies on it that were really interesting that basically showed that h. pylori lives in biofilms in the mouth. Dr. Kara Fitzgerald: Oh, fascinating! Cass Nelson-Dooley: With h. pylori, there is so much difficulty with eradicating it in certain people. They get recurrent episodes of it. The biofilms in the mouth would be one of the top things I’d be thinking about in those patients because it just helps re-infect them, basically, because they’re swallowing h. pylori bacteria into the stomach all day. Dr. Kara Fitzgerald: And h. pylori can survive the acidic environment of the stomach. It’s growing back to that acid/base balance that you brought up. Lactobacillus acidophilus, some of the more acidic loving microbes may be able to survive and, again, just going back to small intestinal bacterial overgrowth in the oral contribution to it. Cass Nelson-Dooley: Sorry to interrupt. This is again looking at studies where they’re seeing it as a pathogen in people who are symptomatic and trying to get rid of it. Dr. Kara Fitzgerald: So we just need to distinguish that. We can do that pretty readily in clinical practice. We can look at the h. pylori antigens. Obviously, we correlate that with the clinical presentation. You really can determine whether or not you think the presence of h. pylori is a problem in an individual. But the really key piece here for me is that the oral microbiome must be addressed as much as the stomach. Cass Nelson-Dooley: And one thing that was neat too about the studies on h. pylori was that if they took patients who had been treated for h. pylori with antibiotics and one group went and saw the dentist and had regular cleaning, and the other group didn’t. The ones who had the cleanings had a much lower incidence rate, re-infection rate than those who didn’t. So it’s interesting because we’re linking getting your teeth cleaned with reducing your chance for re-infection with a microbe, a GI microbe. Dr. Kara Fitzgerald: That’s great. It’s great. I love these clinical pearls because they are really easy things that we can recommend to our patients. They’re just easy, safe fixes in most of our patients. Let’s talk about some action points for clinicians. We’ve already listed a host of pearls. But talk to me about how we want to improve the microflora and just in general action items for clinical take-home. Cass Nelson-Dooley: Sure, absolutely. And we’ve touched on a lot of these already, but I know it will be helpful to just chorale them all into one place. So some of the big obvious things are brushing, flossing and dental cleanings as a way to control that microbiome in the mouth but also make the tissues healthy in the mouth, affecting the immune system and the integrity of that barrier in the mouth. The diet, like we’ve talked about, especially low sugar and plant-based. A lot of the nitrate-reducing bacteria that we’ve talked about earlier, they like leafy greens. So eating your leafy greens help increase your nitric oxides potentially. Dr. Kara Fitzgerald: That’s such a great connection. Cass Nelson-Dooley: Because it feeds your bacteria. Healthy salivary flow. So perhaps when a clinician is doing an intake, that is a key point, not just in determining, do they have an autoimmune condition like Sjrogen’s but how healthy is their microbiome in their mouth? Periodontal disease, of course. If they have periodontal periodontal disease or not, to me, it would be a red flag for other systemic issues because they’ve got inflammation, they potentially have leaky gums. I think we might have coined a new term, the leaky gums. And so periodontal, any signs of periodontal disease should be considered. And we talked about treatments. I love your idea of a glutamine rinse, CoQ10 probiotics, chewable probiotics. There are probiotics in toothpastes now offered from various companies. And of course, probably treating the gut is going to influence the mouth environment too. And in those inflamed patients, we really want to think about treating the mouth too in these ways. Be careful. Just like we’re careful with antibiotics, be careful with antiseptic mouthwash. But perhaps an antimicrobial, herbal rinse like you were mentioning might be helpful in certain, specific cases. And consider the oral biofilms. If you’re struggling with a chronic h. pylori infection, but really if you’re struggling with any chronic dysbiosis of the gut, look at the mouth. People refer to it as the mirror of health and disease, the mouth. There’s a lot happening there. And I think those are all of the clinical take-homes that I have in regard to this topic. Dr. Kara Fitzgerald: A couple of things that I’m thinking about as you’re talking. You’re mentioning sugar and I just want to expand that. I know that this probably goes without saying, but any simple carb (so beyond the Snickers bar or the Milky Way, bread, chewing on bread) breaks down to sugar awfully quickly. So remember, just expanding to those various foods that turn into sugar so rapidly would certainly be contributing. Now, I know that some of the clinicians listening are probably thinking about fluoride and the overuse of fluoride. I don’t use fluoride toothpaste and I don’t advise it, but did you come across fluoride at all in your research? Cass Nelson-Dooley: I didn’t. It may have been out there. I was more under Stephen Olmstead’s direction. We were really trying to characterize what are the healthy, normal commensal microbes, what are the pathogens and how do these affect health and disease? So I didn’t spend a lot of time looking into fluoride, so I can’t tell you much about that, unfortunately. How it does affect those microbes. Dr. Kara Fitzgerald: I wouldn’t be surprised if it has an influence. But it is certainly something that we know we’re getting excess of. I think it’s been associated with some bone tumors and so forth in kids. So that’s something to think about. Cass Nelson-Dooley: Yes, that’s a neat question. Dr. Kara Fitzgerald: And in my reading, I did come across periodontal disease as preceding the onset of some of these systemic conditions that I mentioned, rheumatoid arthritis and so forth. So periodontal disease really, as a harbinger of things to come if it’s not addressed, and I think you’ve stated that and I just want to hit it home. Cass Nelson-Dooley: I didn’t come across anything on mercury. My only thought about mercury on this topic was – I don’t know how many cases you’ve seen in your clinical practice, but on the [inaudible 00:53:01] with doctors, the laboratory, I felt like I routinely heard about these cases where there was an invasive dental procedure that pretty much led to a very serious chronic illness in patients and without fully understanding what was happening. I think we all kind of assumed it must be they may have had mercury amalgams removed. That would sometimes trigger a downward spiral for patients. But it also occurred to me through the process of this as well, mercury amalgams may be creating the downward spiral but also this huge burden of bacteria into the bloodstream may also had led to a downward spiral of the patient. Cass Nelson-Dooley: But otherwise, I don’t have a lot to say about mercury on the microbes. What are your thoughts? Dr. Kara Fitzgerald: Well, two things come to mind. So when we were writing the Elements chapter, and I was focusing on mercury in laboratory evaluations and integrative and functional medicine, it vaporizes really, like crazy, in the oral cavity. And so that’s one piece leading to systemic toxicity, particularly since it likely readily enters into the bloodstream as you were speaking about with regard to the microbes. So that’s one piece. And we know that it can be a triggering or an antecedent event in the process of developing autoimmune disease. And we’ve already connected the dots with some dysbiotic flora and autoimmune disease in the oral cavity. So I would say that there’s clearly relationship there between mercury and what’s going on in the oral microbiome and its relationship to systemic disease, just in the vaporizing of the mercury amalgam alone and the connection. Cass Nelson-Dooley: I think that’s an interesting point. And you know, something, I guess, to me, at least, as I see it a little bit more anecdotal, I feel sometimes clinicians in our field talk about chronic dysbiosis or yeast being—perhaps caused by mercury burden. And so that’s to me a little bit more of an anecdotal thing or maybe a clinical anecdote. But we haven’t really talked today about candida in the mouth. But that is a whole another thing. Candida, when the mouth gets dysbiotic, candida thrives. When they turn into that sick environment that is hospitable for cavities, candida is right there at the front. So that’s something else that comes to mind on this topic. Dr. Kara Fitzgerald: We see it as most obviously as thrush. That’s just another extremely important area. And still, we’re going to be thinking about it similarly with regard to change to diet, good oral hygiene and then, of course, all of our systemic interventions to turn it around. This has been such an interesting topic, Cass, and one that perhaps you’ll jump on again and we can explore further and pick up some of these questions that we’ve brought up. Cass Nelson-Dooley: It’s so fun talking with you about it too because I know you spend a lot of time thinking about the microbiome. Dr. Kara Fitzgerald: Yes, indeed. Anyway, Cass, I just wanted to thank you again for jumping on board to the podcast. And also everybody, you will have links to Cass’ white paper and then access to her website if you want to connect with her. Thanks again.